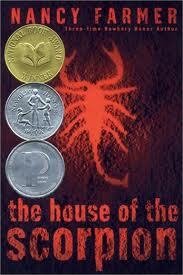 I first read The House of the Scorpion seven or eight years ago when my oldest was in elementary school. He decided, based on the cover and blurb, that this book looked like it would be his “most favorite book ever” so he tried to check it out at the school library. This, however, started a bit of a fiasco because his school librarian wouldn’t let him borrow it because of his grade in school (not his reading ability). Like all primary students, he was restricted to a certain picture book and short chapter book area of the library and this was considered appropriate reading only for upper elementary students. Now I don’t know about you, but I find it really annoying that any adult, particularly a librarian, would tell an INTERESTED kid what he should/should not read. Sure, you might try to steer them into something you think would be a good fit, and I do understand about reading levels, but I also feel that sometimes we are drawn to books for reasons that have nothing to do with that. Anyway, I argued, and he got his book. Granted, at four hundred pages, it took him the rest of the school year to finish it, but he plugged along at it every day and finish he did! So there, grouchy librarian lady! Because of the brouhaha at school, I decided I had better read this book too (thinking maybe it had more adult themes or something and there was a real REASON she was trying to keep it from him, you know?). The House of the Scorpion is both fast-paced and realistic for YA/children’s dystopia, but still moderate enough to be appropriate and thought-provoking for children. 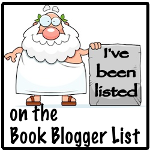 Although it was not a book I’d have sought out or picked up on my own, I am certainly glad I did. To my surprise, while browsing in our school library a few months ago, I stumbled upon this sequel to The House of the Scorpion. It was super brand new, and I’d never expected a sequel, so yay! Matt has discovered he is no longer considered a clone since the original human he was created from has died, and he “becomes” the Patron himself. This is troublesome for a boy like Matt who never expected to live and now worries that he will become evil and conniving like his progenitor. Part of Matt just wants to be a child who hangs out hosting elaborate parties for his friends; the rest knows he is the only one who can rid his land of the corrupting influences of El Patron and the neighboring drug lords. Matt works tirelessly to repair damage he never caused and heal those who have lost their memories to El Patron’s eejit microchipping. This really brings up an interesting “nature vs. nurture” idea that seems somewhat groundbreaking fare in a novel clearly meant for kids. I love hard-hitting but still age-appropriate works for young readers and find that most books miss the mark. This book is perfectly balanced between grown-up and not-too-grown-up. Matt takes on the responsibilities of power while trying to avoid the tempting influences it brings. I also really, really like this cover. 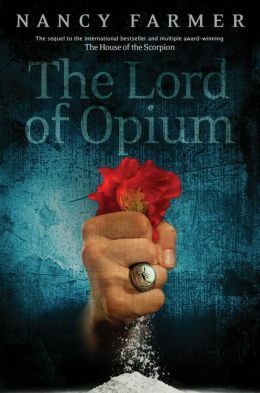 The scorpion-ringed hand crushing the poppy into drug powder is just perfect for a book that features drugs but isn’t at all a book about drug use. I’d definitely recommend both of these books! 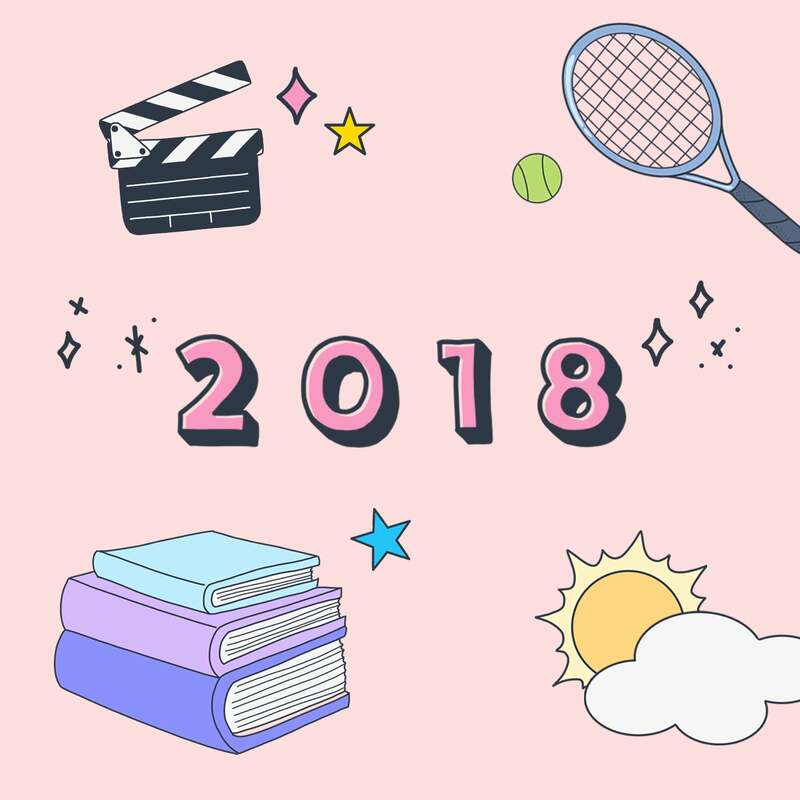 This entry was posted in Children's, Contemporary, Dystopian, Fiction, Young Adult and tagged children's, Nancy Farmer, The House of the Scorpion, The Lord of Opium, YA. Bookmark the permalink.